Back in 2014, Toad, of Super Mario fame, starred in his very first game, Captain Toad: Treasure Tracker, for the Wii U. The game received very good reviews – here at COGconnected it received an 87. Unfortunately, the Wii U was not a huge success. As a result, many of its great games, including Captain Toad: Treasure Hunter, was missed by many gamers. Nintendo has been working to resolve this issue by re-releasing many of the great Wii U titles on their shiny new Nintendo Switch platform. So far, we’ve seen the likes of Mario Kart 8 Deluxe and Donkey Kong: Tropical Freeze, but now the spotlight turns to Captain Toad: Treasure Tracker . Make no mistake about it, this is just a port with some slight improvements, tweaks, and changes. If you’ve already enjoyed the Wii U version, there’s not much I can say that’ll convince you to purchase it again. Captain Toad: Treasure Tracker stars Super Mario’s buddy, Toad, in his quest to find treasure. Along with his crew of treasure hunters and his friend (maybe more than friends?) Toadette, Captain Toad sets off to search for gems, stars, and coins. In Treasure Tracker, the game is broken up into three episodes with a fun little plot connecting them together. 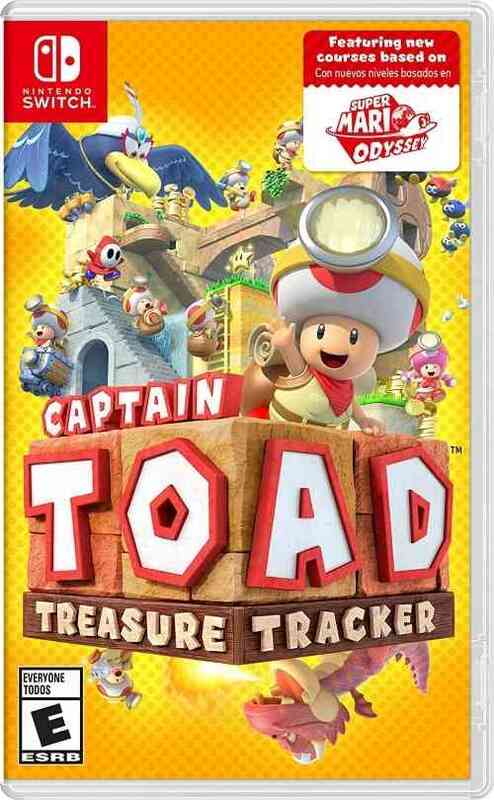 The first episode, featuring 18 levels, has Toadette being kidnapped – so in addition to hunting down treasure, Captain Toad must save his female companion. In episode two, also featuring 18 levels, the roles are reversed, and players take on the role of Toadette to save Captain Toad (while hunting for treasure, of course). And then there is episode 3, which features 28 levels, however, I won’t divulge the plot here to avoid any spoilers. Each level will only take a short period of time to complete – maybe 10-15 minutes for some of the more challenging levels. To complete a level, you’ll navigate a small, Mario-esque environment while searching for a Star. In addition to the Star, you’ll also collect three hidden diamonds and figure out a mystery objective that’s only revealed once the level has been beaten once. These mystery objectives may include finding an object, like the Golden Mushroom or the 1up Mushroom, or not taking any damage. The small, multi-story levels are filled with classic Super Mario enemies and obstacles and are usually inspired by traditional Super Mario settings like Ghost Houses, Grassy Fields, Castles, etc. Super Mario fans will find a ton of familiarity here – even if the actual gameplay is more puzzle-like in nature. To spice things up, you’ll also come across the occasional boss fight and mine cart level. The boss fights are usually pretty clever and create just enough tension to get your blood racing. The mine cart levels are an absolute treat – you ride, in the first-person view, in a mine cart down a pre-determined track shooting unlimited turnips at bad guys, coins, and diamonds. They’re fast, fun, and it’s really a shame there’s only a few of them included. While this is essentially a port of the Wii U game, there have been some changes and improvements. First of all, the game can be played with either the Joycons or a Pro Controller (I opted for a Pro Controller during my playthrough). The Wii U version was restricted to the gamepad – because there were certain on-screen objects you needed to toggle by touching. However, when using the Switch Pro Controller, you’ll have an onscreen reticle that you can use to point and click with. Of course, if you use the Switch gamepad, then the game will work more similarly to the Wii U version. Aside from some changes to the controls, there have been a few minor tweaks to the overall game. On the title screen, you’ll see a classic Super Mario pipe, which will take you to the bonus “art” areas that were previously only accessible by waiting on the title screen. After you complete each level, you’ll be able to play hide & seek with the Pixel Toad – a fun little mode that tasks you with searching the entire level for the little Pixel Toad. To collect him, you just need to touch him with your pointer. It’s a fun variant to the gameplay that was previously only accessible on the Wii U by using the Toad amiibo. Now, the Toad amiibo provides invincibility for Captain Toad. Another minor change is when the Bonus Episode accessible. On the Wii U version, you could access the Bonus episode after completing Episode 2 – now you’ll have to wait until you complete Episode 3. Two-player multiplayer has been added to Captain Toad: Treasure Tracker – but hold your excitement while I explain how limited it is. Instead of including a second character, each player will be given a Joycon. The controls are then divided between each player with player 1 controlling Toad and player 2 controlling the pointer, camera, and shooting. Unlike the one player experience, in the multiplayer mode, player 2 can shoot an unlimited amount of turnips, which can aid player 1 by killing enemies. It is worth noting that in this mode, player 1 can adjust the camera, but must stop moving to do so. While it’s nice to have multiplayer included, it becomes incredibly frustrating during some of the faster-paced levels that require quick camera angle tweaks. 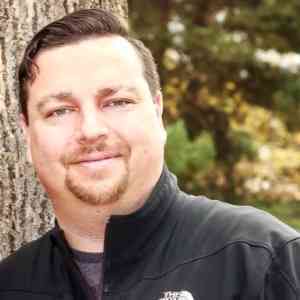 Maybe with practice, a co-op team will work as a well-oiled, cohesive unit, but in my experience – it was often easier to just tackle the game alone. 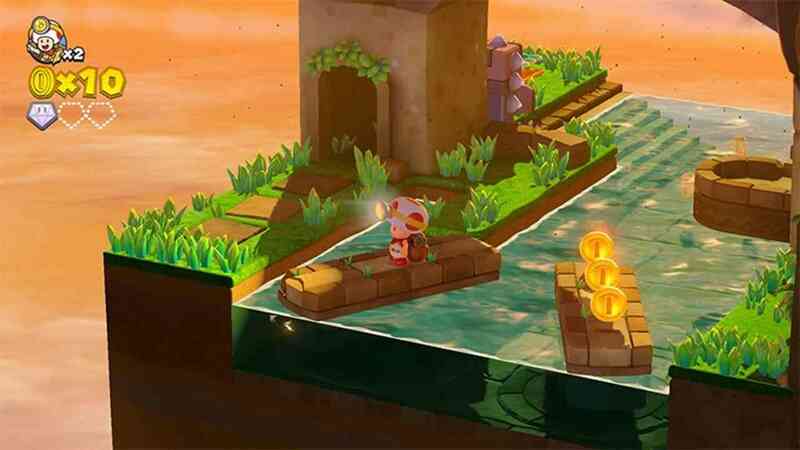 Hopefully a future Captain Toad: Treasure Tracker game will feature a true 2-player experience. Finally, there are the additional levels, or rather, the replacement levels. 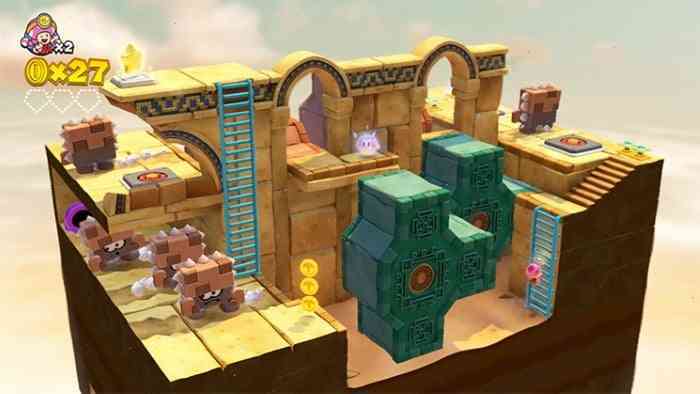 In the Wii U version, the Bonus episode included four Super Mario 3D World levels. In this version, those levels are replaced with Super Mario Odyssey levels. It’s an absolute shame that they would leave out the Super Mario 3D World levels – and I can only hope that if they eventually port Super Mario 3D World to the Switch, they’ll update Captain Toad: Treasure Tracker to add these four levels back in. They really should port Super Mario 3D World to Switch, since it is one of the best Super Mario games, up there with Super Mario World and Super Mario 64. The four Super Mario Odyssey levels are great, they even included a fun mine cart level, however, considering the biggest criticism from the initial release was how short it was, you’d think they would have added even more levels; Super Mario Odyssey inspired, or otherwise. It’s also worth noting that the game’s ending has been changed slightly too. And sadly enough, the Wii U ending is actually a bit better. I’m not going to spoil the difference here, but consider the included Super Mario Odyssey bonus levels as a bit of a hint. Captain Toad: Treasure Tracker is a fantastic game and a must-play for anyone that enjoys puzzle-platformers. The game is by no means hard, and you’ll likely finish it over the course of a weekend – but for those that are set on completing every objective and finding every Pixel Toad – you’ll be sure to squeeze many more hours out. If you’ve played the Wii U version, I really can’t justify a second purchase here. The four Super Mario Odyssey levels are great, but not great enough to buy the game again. The controls are far better this time around, but I really didn’t notice much of an improvement in the visuals. The two-player option feels a bit tacked on and could have been far better – even if player one could use the Pro Controller and retain control of the camera while player 2 just manned the turnip gun – that would have made for a more enjoyable co-op experience (think: Super Mario Galaxy co-op). 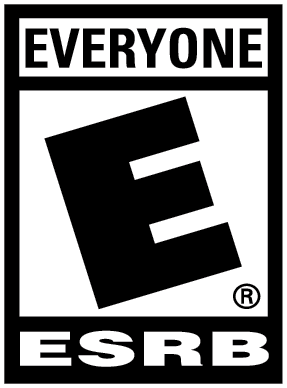 Bottom line, if you’ve never played it before – buy it. It’s a short game, but very fun. If you’ve owned the Wii U version, just know that this is a pretty minimal upgrade over the original.